Craps table at the Venetian. I arrive in Las Vegas on Friday afternoon and check-in what may be the cheapest hotel on the Strip, the Imperial Palace. 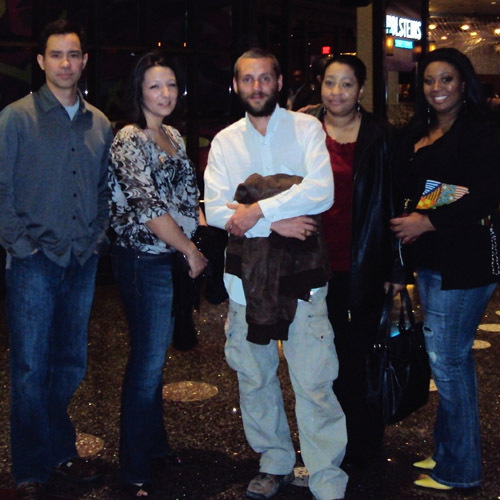 Nauvlet – a follower of the blog – works for the group who owns the casino, and she was able to get me a great price. After a hunt to find free internet in the city – which is almost mission impossible – I find myself working at the public library and updating the website. Last time I was in Vegas was in 1998, and I feel that the place changed a lot. But this has always be the story of this city located in the middle of the desert and surrounded by mountains. Back in 1911, there was not much there to be found, until divorce laws got liberalized in the state of Nevada. 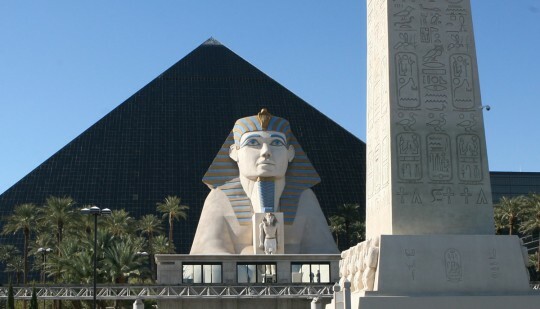 The Luxor casino. 4,400 rooms in the pyramid. A quickie divorce could now be attained after six weeks of residency which was much easier than in other states. 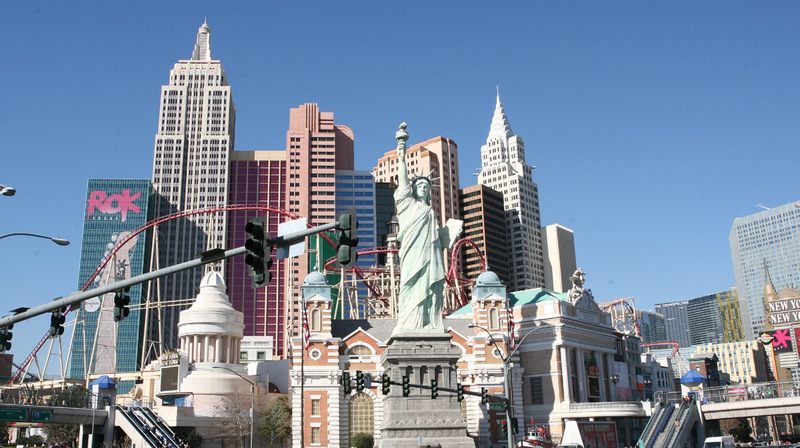 Short-term residents needed places to stay, and hotels on the Strip were born. Nowadays, the city is in bad shape due to the collapse of the real estate market, and the unemployment rate is above 14%. The New York, New York casino. Am I home already? There, I meet with some people following the blog, and we go out for dinner. I also see again Gwenaelle and Max, who flew from Texas to meet me. 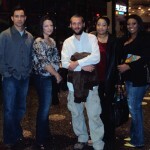 They are longtime French friends who live in Houston, Texas. You may remember that I stopped there for a quick visit in November 2009 on my way out of the U.S.
Back then I had no ideas of all the adventures awaiting me. The Venetian casino and hotel, built at a cost of $1.5 billion. Trying my luck – with no success. 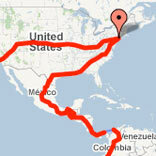 Since then, I drove 35,000 miles in my effort to go around the world. 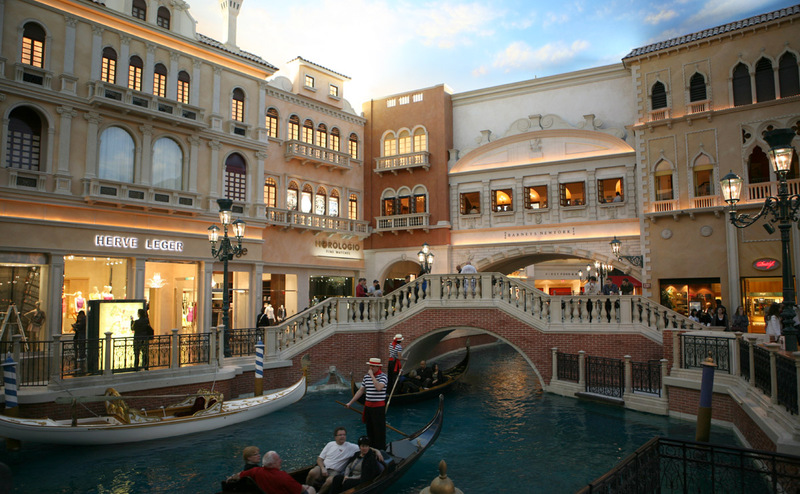 We spend two days in Las Vegas visiting the casinos and observing the interesting architecture and interior decoration of these astonishing places. The major attractions in Las Vegas are the casinos, hotels and more recently fine dining. 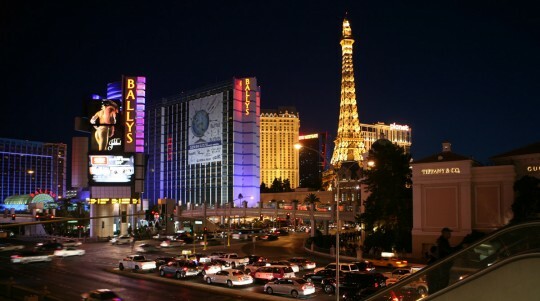 The most famous hotel and casinos are located on Las Vegas Boulevard on the portion called the Strip. 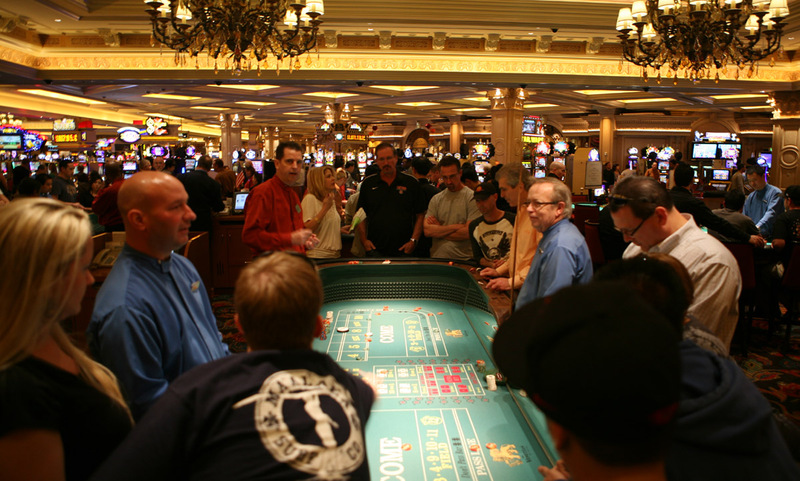 Many of these hotels are huge and have thousands of rooms as well as vast casino areas. 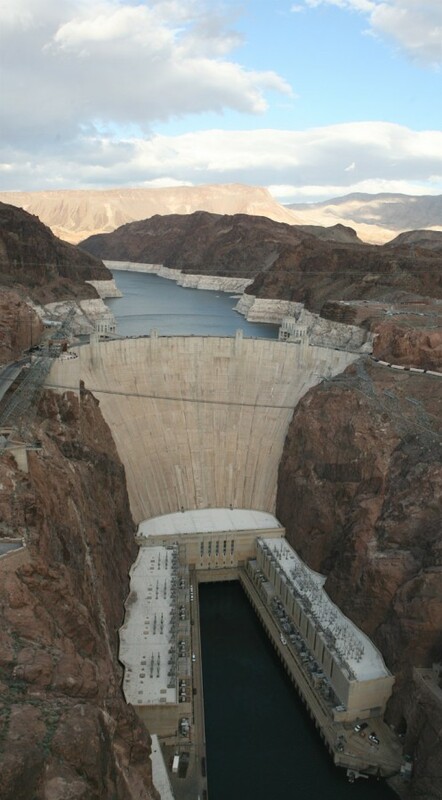 The Hoover Dam, harvesting the power of the Colorado River. 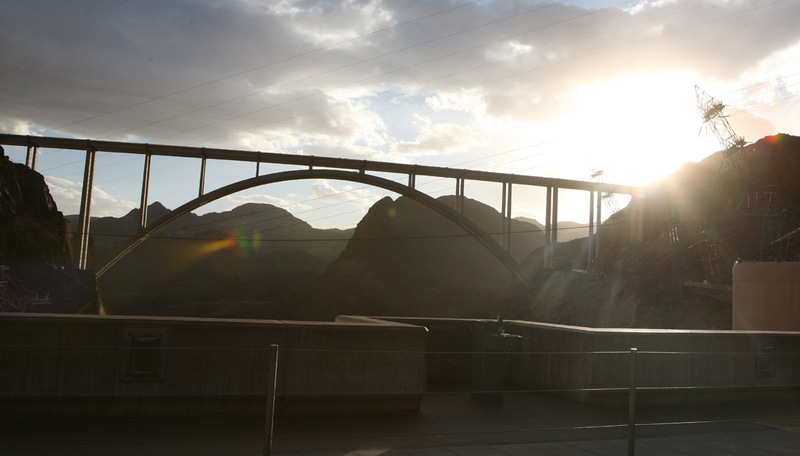 One historical event which was part of the city growth was the construction of Hoover Dam in 1931. This did bring an influx of construction workers and started a population boom giving the city in the grips of the Great Depression a most needed boost. The dam was the next place we were going to visit. Back in 1998, I drove from Las Vegas to the Grand Canyon, and at the time I had to use the road on the dam to cross the Colorado River. Since October 2010, a new bridge has been open, which allows vehicles to by-pass the dam. Regardless, I took the alternative route so I could stop quickly once again at this monumental piece of engineering. The new bridge across the Colorado River. Once the bridge behind, we were driving through Arizona. 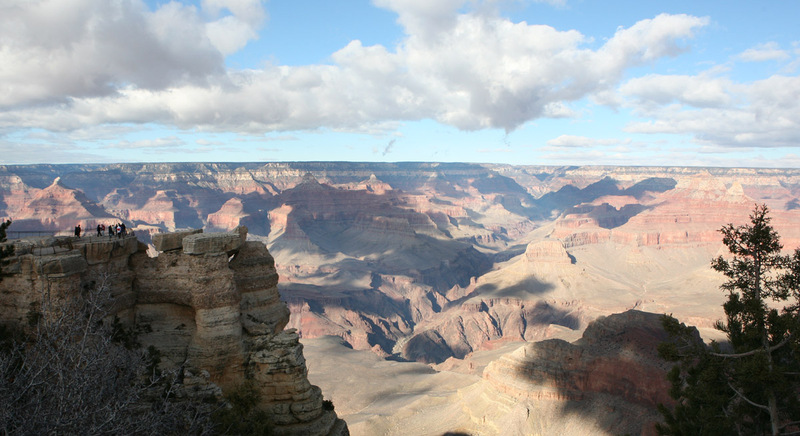 We pushed to Williams – 60 miles south of Grand Canyon Village – and stopped for the night. That was the first night of serious cold, and not the last. 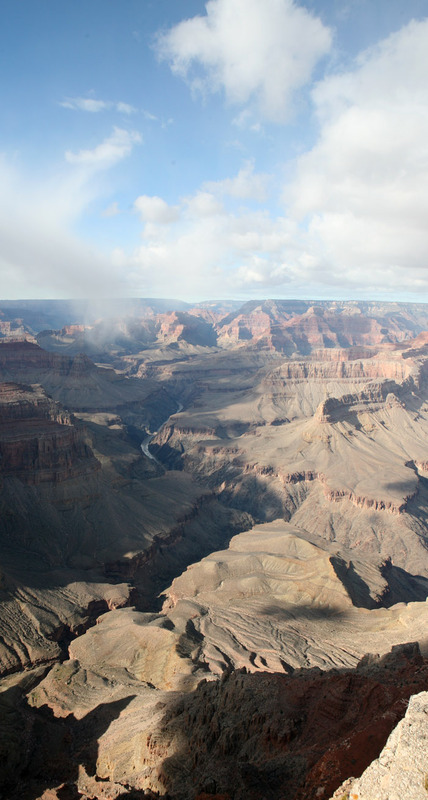 View from the Grand Canyon south rim. 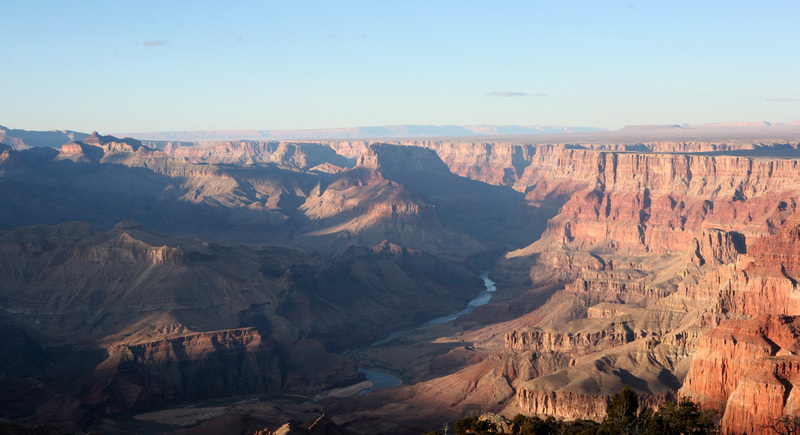 The Grand Canyon, 277 miles long and 6,000 feet deep was carved by the Colorado through the rock layers of the Colorado Plateau. It is truly is a special place, and one that you can never forget after visiting. Spectacular view once the fog is gone. Buttes, spires, mesas and temples in the canyon are in fact mountains looked down upon from the rims. During the winter, the north rim of the Canyon is closed to traffic due to heavy snow, but the south rim remains open. The trouble met by a traveler during this season is the visibility. The winter fog can be present and you may not be able to see anything when visiting. 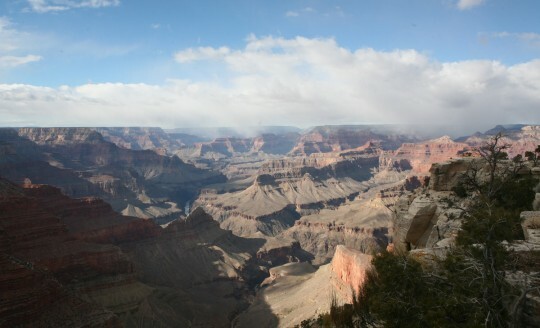 It is what I got in the first few hours of the day, and I was beginning to think I would not see the Canyon this year. But suddenly, shortly after noon, the white veil lifted, and the fantastic view appeared. Of course the haze dimmed the vivid colors, but regardless, the show was spectacular. 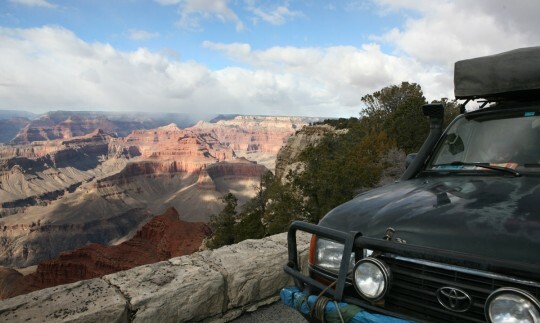 In the winter, all the roads of the south rim are open to vehicles, which make the exploration easier as well. Still looking good for a 2 billion years old canyon. Going down the road and exiting the park via the eastern route is amazing as well, and one can find surprising natural wonders on the route to Tuba City as well. It is where we stopped for the night. 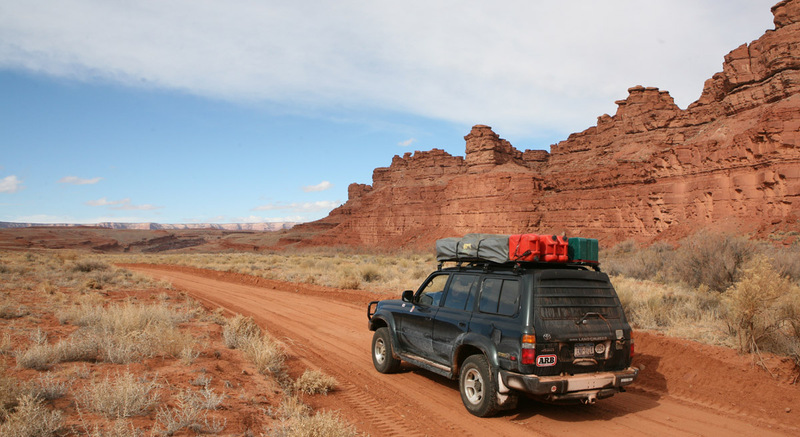 There was not much to do in this small town on the western side of the Navajo Nation. Chief Tuba – at the origin of the place’s name – converted to Mormonism in the late 1800s and invited the Mormons to settle in the area. Tuba City was founded in 1872 and is now home to 8,000 inhabitants, most of them Navajo. The next destination was Monument Valley. As we progressed east in the morning, the weather got worst and snow began to fall in a dense fashion. 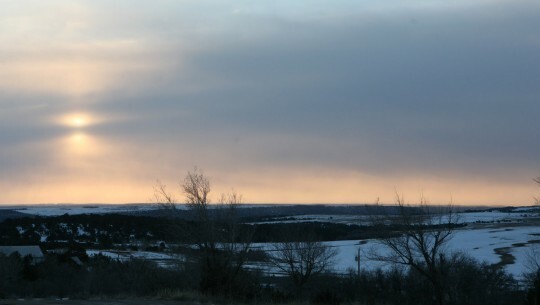 Visibility dropped quickly, and it was rapidly more difficult to drive on the icy roads. 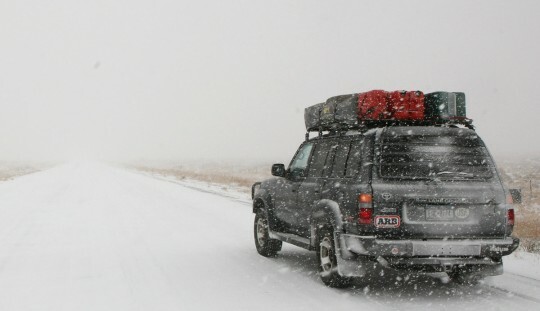 As we get closer to Utah, snowfalls get worst. The scenic route 163. Exciting even in the snow. We enter Utah and the snow suddenly disappears. But it gets much colder as well. We arrive in Blanding, southeast of the state earlier than scheduled, and it is for the best as I have to get some things done before sunset. 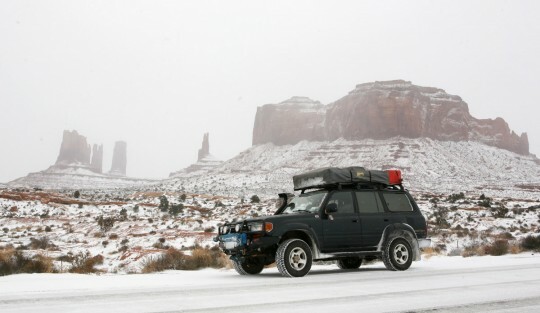 The temperature is supposed to drop to -10 Fahrenheit (-23 Celsius) later, and I am afraid for the radiator of the Landcruiser. Last time I changed the cooling liquid was in Bangladesh, and it was then hard to imagine such cold temperatures. In order to save money, I used a ratio antifreeze/water pretty low, and now I have to deal with the consequences. The snow disappears as we enter Utah. In the freezing cold, I am able to empty a third of the radiator and refill with unmixed antifreeze. That is probably what allows me to start and drive without trouble the following day. The weather is not going to get any better as I progress east, and I am now getting closer to the Atlantic winter storms. I plan to arrive in New York on February 12, and it is an thrilling prospect. This Sunday, folks in the city can read in the New York Times an account of my trip through Cambodia with my friend Vikas. It feels like an early welcome back from the city I am from. The colder temperature I have been in so far.